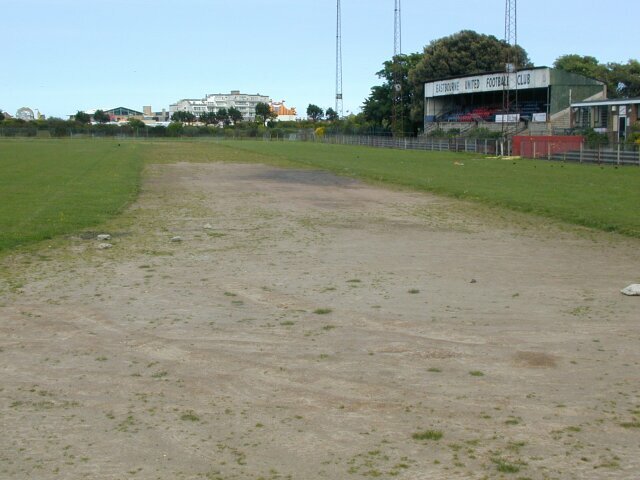 The track opened in July 1953 and was around the football pitch used by Eastbourne United AFC. Since the synthetic track at Eastbourne Sports Park opened in 2000, this one became redundant. All the runways here were synthetic. In 2012, a fence was erected around the football pitch and a new 113 seater stand installed. The outline of the bends and the back straight are outside the fence but have largely been grassed over.